Stephanie and I talked about buying a house, or if we couldn't afford a full-fledged house, perhaps a condominium. The conversation lasted a few months, while we were fairly new to Madison. She would sometimes show me on-line real estate listings, and we would virtually walk through a house. We also strolled Madison neighborhoods for real, took notes about homes with "For Sale" signs in the front yard, and went to open houses at a few condos near Tenney Park. We looked at some very nice places we couldn't have possibly afforded, and some lesser places where we might have been able to sign a mortgage and move in. Steph was in low-level management in the Mortgage Department at a bank, and they offered an "employee discount" that might have made such a purchase more feasible. She scrutinized our finances (math was always her bailiwick) and decided that we could do it — barely, and only if we could lowball a very motivated seller, and only if we scrimped on everything else in our lives. Even if we could find a place at an unlikely low price, though, and even if we cut back on every other expense, no safety margin remained. If either of us lost our jobs, or if either of us were sick or injured and couldn’t work for even a month, then the bottom line would be red instead of black. So, after we'd gotten our hopes up, Stephanie sighed one night at the dinner table, and suggested that we let home ownership fade away. "Instead," she said, "we should continue living within our means in our boring but cheap apartment where the landlord pays the heat, and fixes the oven when it breaks, and replaces the fridge when it dies. We're better off with a rented roof over our heads, than buying a house and adding so many new worries." I didn’t argue because she was right, and the purpose of telling this story is to give Stephanie a posthumous pat on the back. Her decision saved our hides. A year and a half after our brief flirtation with buying a house, it was 2008, when the so-called housing bubble burst. Several million Americans faced foreclosure, and we would’ve been two of them. 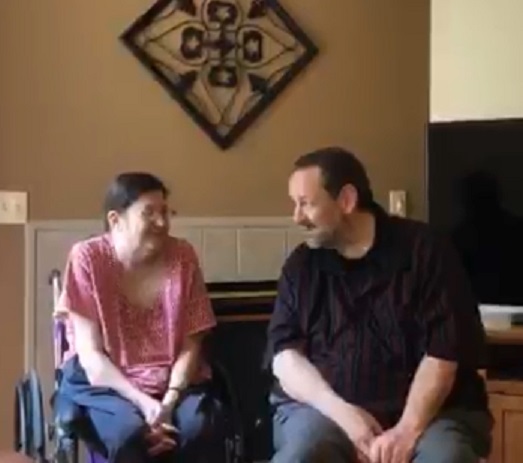 If by some miracle we'd made it through the 2008 crash, we would’ve lost our home or condo a few years after that, when Stephanie’s health issues began, and she started missing work due to sickness and doctor's appointments. There's an American law that's supposed to protect people in such situations, called the Family and Medical Leave Act (FMLA). And FMLA deserves credit for good intentions, but realistically, that law only protects workers who are moderately sick, not seriously ill. Once you're ill enough to have missed twelve weeks of work in a year (which Steph did, in 2015) that's when FMLA runs out. After that it was legal to fire her, and she was promptly fired. Without health coverage through her job, we had to pay for Steph's medical insurance, which was expensive indeed. Of course, Obamacare saved her life; if the same thing had happened a few years earlier, when it was legal for insurance companies to refuse coverage to people with "pre-existing conditions," it would have been impossible for Stephanie to obtain health insurance at all. But her coverage cost more than the rent, and we struggled financially. 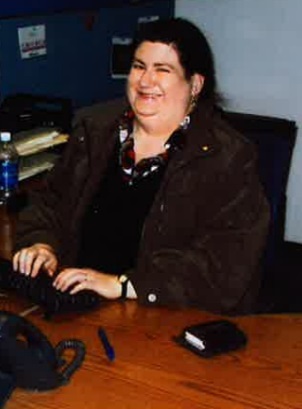 She received disability pay from Social Security, but it was a fraction of what she'd earned while working. My income also decreased — I'm paid by the hour but missed many shifts to take Steph to medical appointments, and to be at her side when occasional complications required her to be hospitalized. All of this ate into our rainy-day fund, which was never much anyway. Sometimes, it was difficult to pay the rent on our cheap apartment. Near the top of the list of "Best Decisions Ever Made," then, is Stephanie's decision to cancel our daydreams of home ownership. If we had bought a house, we would've lost it and been out on the street. Or, best case scenario, we would’ve moved to Racine to live with her parents. Steph loved her parents, of course, but she would've hated living with them for the last years of her life. I would've hated it, too, and her parents would've hated having us there. To be clear, they absolutely would've done it, would've welcomed us without complaining, because they're her parents and they were always supportive. But it would've cramped everyone, all four of us plus the cat. Nobody would've been happy. Instead, because we didn't buy a house, Stephanie was able to spend the rest of her life in our apartment. It ain't Buckingham Palace, but it was home. She couldn't get up and down the stairs without me setting up the wheelchair ramp every time, but that would've been true at her parents' house as well. In our own apartment, Steph was as independent as it's possible for her to have been. She could do as she pleased, stay in the city and neighborhood she liked, and when she wasn't hooked up to dialysis, there was no place and nothing she couldn't do if she wanted. We did a lot of things, had a lot of fun those last few years, all because Stephanie decided, correctly, that we couldn't afford a house. In other words, that smart lady sure was smart. "Life is not about waiting for the storm to pass … it’s about learning to dance in the rain." 4/20: Why isn't she here? 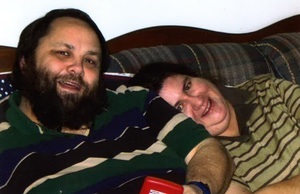 Stephanie Webb was my wife, my closest friend, my angel. We were together from 1997 until 2018, and for all that time we were head-over-heels in love. She was the best thing that ever happened to me, or ever will. Who was Stephanie? She was complicated, and sometimes difficult. She was brilliant but insecure, eloquent but introverted, strong-willed but soft-spoken, tough as titanium but always vulnerable, a dreamer but utterly down-to-earth. Sometimes she was deeper than the Marianas Trench, and other times so silly you'd be giggling for hours. She wasn't famous, and she was never arrested or made headlines. She worked ordinary office jobs, but after hours and on the weekend she was adventurous — oh, the places we've been (though always on a budget). She developed major medical problems toward the end, but other than a few dark days she generally kept an optimistic outlook. She was 26 when we met, and 48 when she died. This domain was created to post her obituary on-line, so old friends who'd been out of touch could Google her name and know that she'd passed away. After writing the obituary, though, there was more to be said. And then, more still. I don't want to forget any of the moments we spent together, the things we did, or the promises we made, kept, and broke — but I'm old and sometimes forgetful, and it's not likely that my memory will improve with age. So I'm writing it. Almost all of it. I reckon that's going to take the rest of my life. I can't tell you everything about Stephanie, of course. As well as I knew her, there must be many stories she never told me, and many stories she told me that I've forgotten. There are also, of course, some stories that I'm not going to share. She didn't often speak about her childhood, her adolescence, her first years of adulthood, and her answers when I asked were usually brief. She got the recipe for Stephanie exactly right, that's for sure — but I wasn't there while she was creating herself, day by day and bit by bit, so my focus will be on the time we had together. It was delightful and never dull spending those years with her, and it's my hope to convey some small smidgen of the joy of Stephanie. Of course, her spirit can't be captured and posted on-line, and there's no doubt that I'm going to fail. But I am going to try. I am under no illusion that this site will be popular. Quite the contrary, I’m sure this will be one of the web’s least-read sites, but I just don't care. When I write about Stephanie it's like spending more time with her, or re-spending old times with her, and that's the best thing left in my life. My name is Doug, and I'm Stephanie's husband. If you knew her, or have something to say about the website, or if you've spotted a typo, please email. Do we have any bread?